An improved Sweet Viburnum with red new growth and white fragrant flowers in spring. • Its finer leaves, higher density, shorter internodes and reddish new growth is what sets Dense Fence™ Viburnum apart from the common form. • Will form a screening hedge quickly. • Common Viburnum grows to about 5 metres, requiring more pruning. 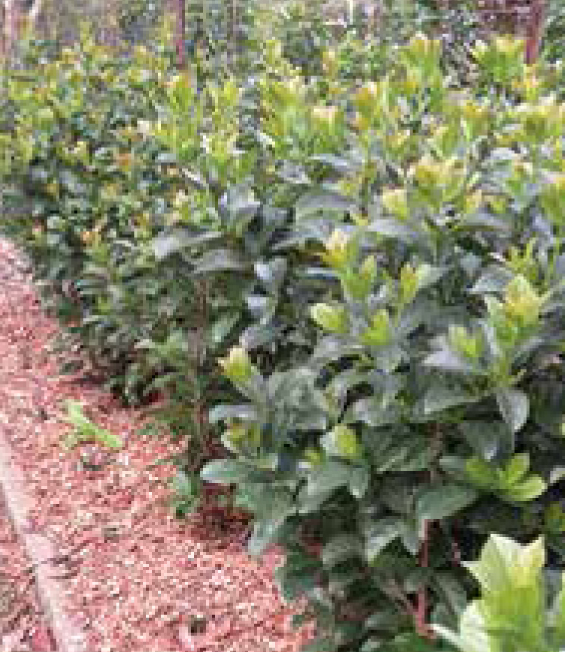 Although the Dense Fence™ plant would grow to 3.5 metres if left unpruned, this naturally more compact plant requires less pruning to keep it tidy. • Its natural height and ability to grow into a screen relatively quickly makes it perfect for heights of 1.8 metres to 2.5 metres. 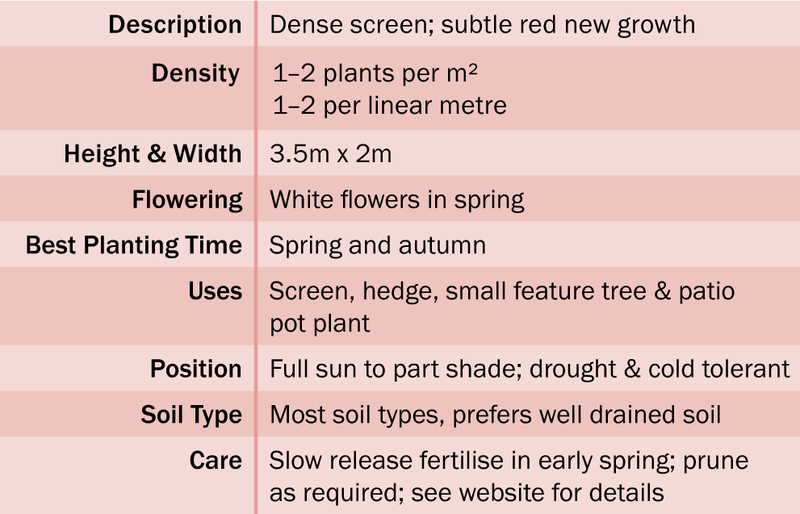 • Dense Fence™ Viburnum will form a 2 metre screen in 14 months if it’s planted in 200mm pots and fertilised correctly. 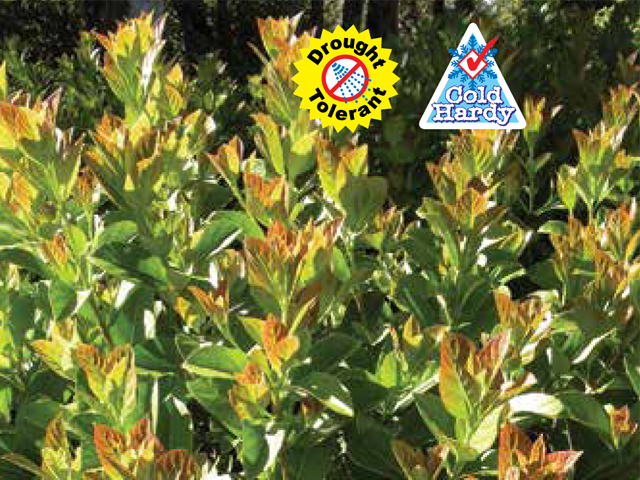 • Tolerates minor to moderate frost once established. However, it has coped better with -3° celsius compared to the common form in tests, probably due to its finer leaf. It will also tolerate light frost once established.